This month I'm embarking on an exciting first for me as an author: a tour! 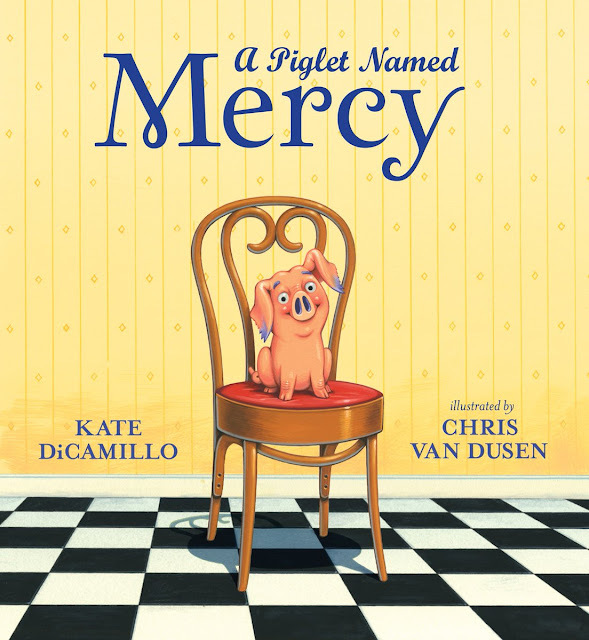 I'll be traveling to schools in northern California, New Mexico, Washington DC, Georgia, and North Carolina, with bookstore appearances at Kepler's in Menlo Park, CA; Bookworks in Albuquerque, NM, and The Country Bookshop in Southern Pines, NC. I'm very excited--a little anxious too--but mostly excited. Something I have discovered since Book Scavenger was published is that I love school visits. L-O-V-E them. This shouldn't have been a huge surprise to myself since I have always enjoyed being with and talking to children. But now that I have visited a dozen schools in person and many more virtually, I have seen so much passion, dedication, and creativity demonstrated by educators for their students and it is so incredibly heartening. At one school I was even moved to tears, and I'll tell you why. An amazing teacher, named Brianne Walterhouse, selected Book Scavenger as a classroom read-aloud. As the culmination for reading the book, she planned an elaborate Spy Day for her students and invited me to be a surprise guest. When I arrived, the students were working in teams, by lanterns and black lights in a darkened classroom, to solve a series of codes inspired from the ones in Book Scavenger. They were so intent on their work, they groaned when the bell rang for recess! I circulated the room as an anonymous visitor. Every so often I stopped to talk with various students, playing dumb about my own book. I got a real kick out of hearing kids explain Book Scavenger to me, and with such enthusiasm too! And then I got teary. Because being in that classroom and seeing the students' passion for a book reminded me of when I was their age. When I was their age, I was an avid reader and dreamed of becoming a children's book author, but I secretly didn't think I was special enough. And then one day, right before I turned 11, the author James Howe replied to a letter I had written him. I had asked him for advice on becoming an author. He took my question seriously, and in doing so he planted the seed of possibility for me that if I wanted to become an author one day, I could. Jennifer Chambliss Bertman was born and raised in the San Francisco Bay Area. 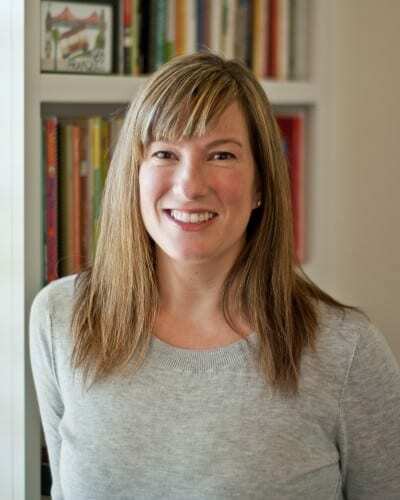 She holds an MFA in creative writing and has worked for literary agencies, magazines, educational publishers, and as a freelance copyeditor and proofreader. She is the author of Book Scavenger. 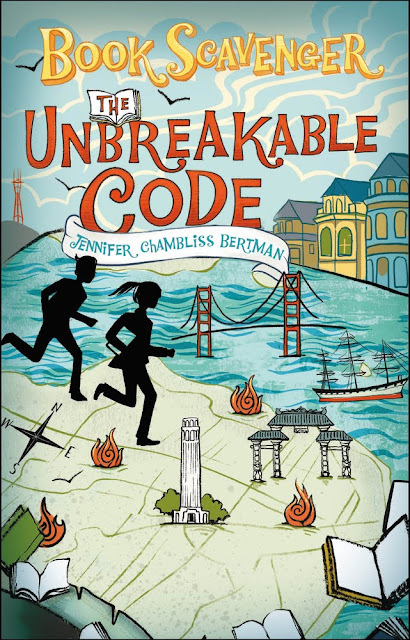 Look for The Unbreakable Code on January 4, 2017. Congrats, Jen & good luck on your tour!! So fun to read about your school visit! 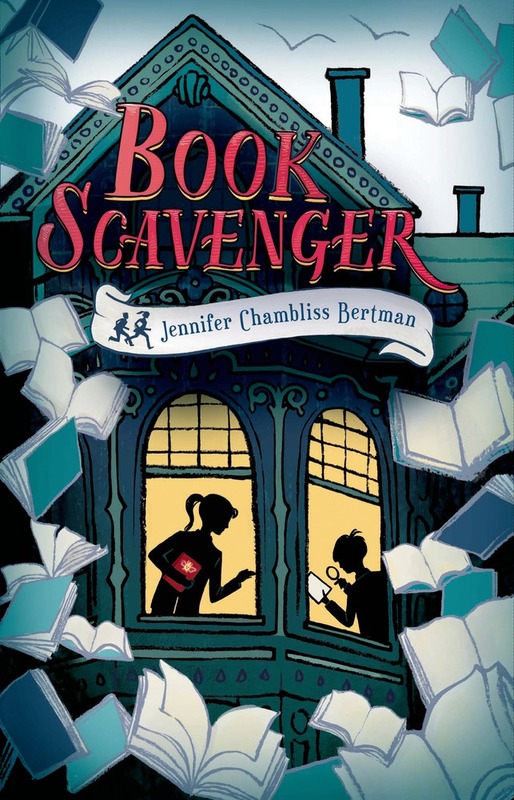 I am still recommending Book Scavenger to many kids coming in looking for a great read. Excited and looking forward to the sequel!